We keep voting in the same people, they keep doing the same things, it failed before, it's failing now, and it will fail in the future. Yet we hope against hope that this time it will work. We give the reformies a little bit to show them how flexible we are. We buy into one of their awful ideas, and then another. Then we sit and wait for them to say thank you. But that just doesn't happen. The time we let Bill Gates keynote and AFT convention, he thanked us, walked out, and then started attacking our pensions. Now the UFT and AFT are waist deep in this PROSE program, the one that enables huge class sizes. It's the bestest thing ever. It means, instead of that silly old contract we negotiated, we can run schools like charters. How cool is that? Maybe once the Post columnists read about that, they'll say, "Hey, those union leaders are not so bad. Maybe we should give them a shot at running the Moskowitz schools." Only that's not the way it works. Every time you give the reformies a millimeter, they want a kilometer. That's why there are multiple suits attacking tenure. That's why the Supreme Court is now eyeing a suit intended to pretty much crush public unions as we know it. And that's why you'll find this piece, in the NY Post, ridiculing Weingarten and Mulgrew as self-serving clowns. Basically, the piece moves from the absolutely false premise that charters are a solution to the low test score issue to the conclusion that the PROSE program emulates them. Maybe it does. And it's been bandied about as a solution to various problems by not only Mulgrew, but also Weingarten. Now here's the problem--the low test score crisis is caused NOT by the UFT Contract, but rather by high concentrations of poverty and high needs students. Charter schools tend not to take severe special ed. cases or beginning ESL students, and have various screening methods to ensure they don't just take everyone (like we do). They also dump kids and don't replace them. This system is hardly a miracle. By being flexible we buy into the false assumption that it is the teachers and schools failing the students. That's problematic because it gives our enemies more ammunition to attack us and our schools. We also allow Post polemicists to write pieces like this, telling the public the privatization schemes are the obvious solutions. How does he thank the helpful union leaders? Thus, Weingarten and Mulgrew receive no credit whatsoever for their willingness to compromise on our Contract. The writer throws in a nice little strawman about how reformies will face the wrath of union leaders if they don't cooperate. Not only did Weingarten and Mulgrew fail to say any such thing, but the assumption they even implied it is preposterous. 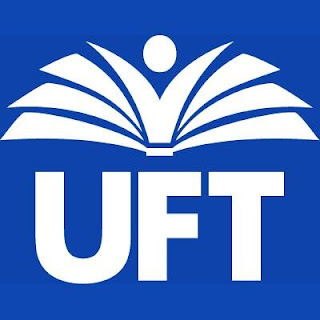 UFT supports charter schools and has done for years. UFT runs charter schools, though one failed rather spectacularly last year, and has even co-located them. UFT proudly brought the odious Steve Barr's Green Dot to NYC. We're up for anything! We're the cool kids! We do charters, mayoral control, co-location, two-tier due process, whatever! Here's the thing though--whatever we do, they want more. Even when we stand up for reforminess instead of common sense, we are reviled. These people hate us and everything we stand for. We are the last bastion of vibrant unionism in these United States and they mean to destroy us. We have seen over and over that it's not only counter-productive, but simply idiotic to play nice with these folks. Yet this is what we do, again and again. We endorse presidential candidates, and ask nothing in return. We hear our presidents say, "This candidate said this and that." And then when they fail to do this or that, when they work against us, they talk to us like Squealer from Animal Farm. "Strategy, comrades, strategy." How many times does the strategy have to fail before we at least try out a new one?